It's Friday!!!!!! That coveted day of the week when we throw caution to the wind and do what makes us happy!!!! Yay! Speaking of happy, here are some visuals that make me happy!!!! aren't the weekends all about just hangin with the "fam" and lovin life? of course we are suppose to look "fashionable" while doing so, right? 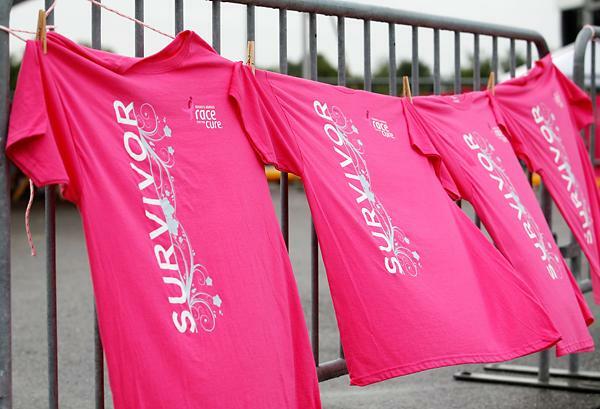 it's all about honoring those women (&men) who have had breast cancer and survived or perhaps didn't survive but taught the rest of us how to "just be"
There is a recent love affair going on with paper pom poms that I think is really fun! They are all over Pinterest and the blog world. You can follow Martha Stewart's how-to's and make your own or buy them from Etsy stores. 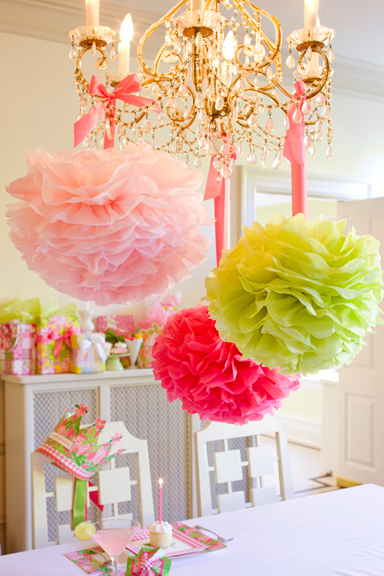 It's an easy way to add panache and color to your next party, shower, wedding or child's room! Check them out! 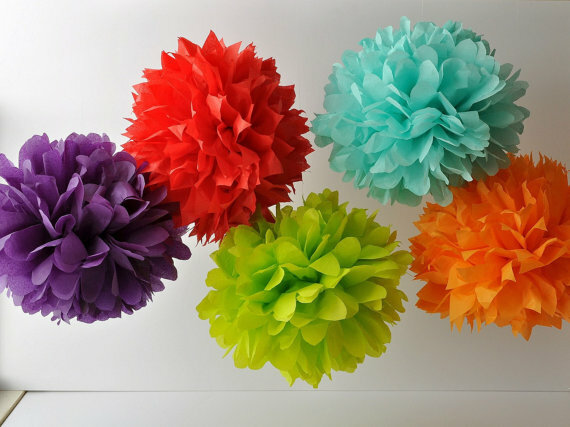 There are several stores selling pom poms on Esty here is one I liked because of all the colors! Aren't these fun! Can't you just imagine having them at your next party? Check here to buy from Pomtastic! 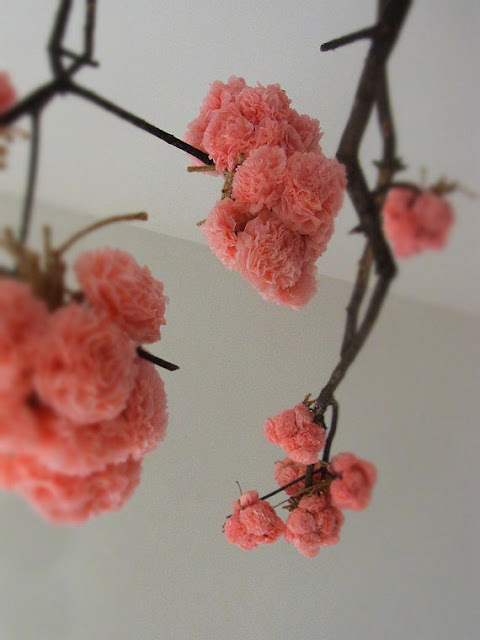 Here are some fun bright ones from Createitgirl on Esty as well. Love them hung over a table! Makes any function special! I normally don't repost other bloggers content but this was so good I couldn't resist! 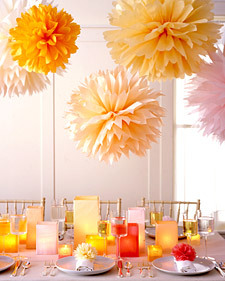 Kristen Kral of 6th Street Design School posted this awesome bridal shower this morning with a paper lanterns. She used a peacock theme which is very "in vogue" right now. Boy did she do an awesome job! 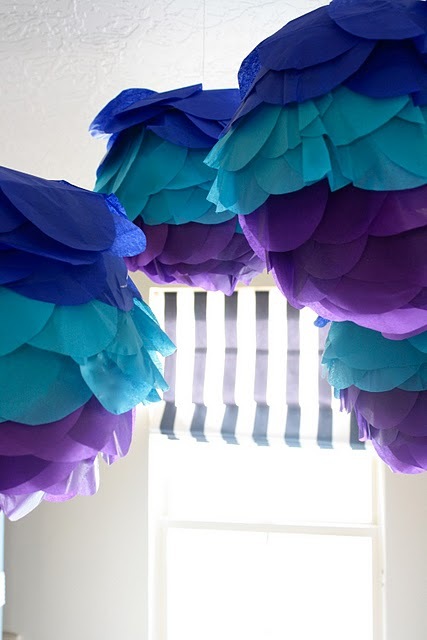 My post was just about paper lanterns/pom poms but this shower was so creative I wanted to share every detail. I always enjoy seeing what she will post from day to day. 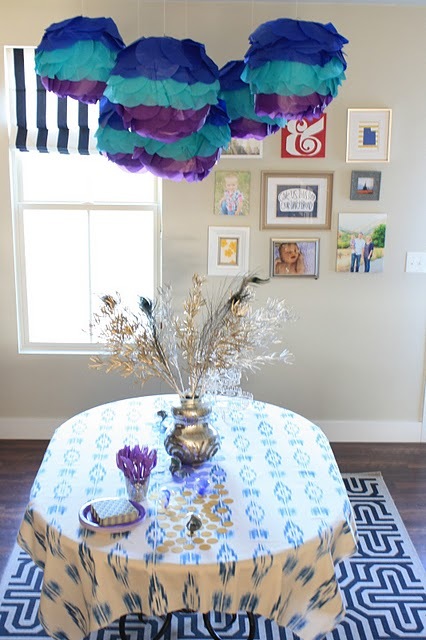 Kristen got Createitgirl to make tissue paper lanterns to hang over her table. 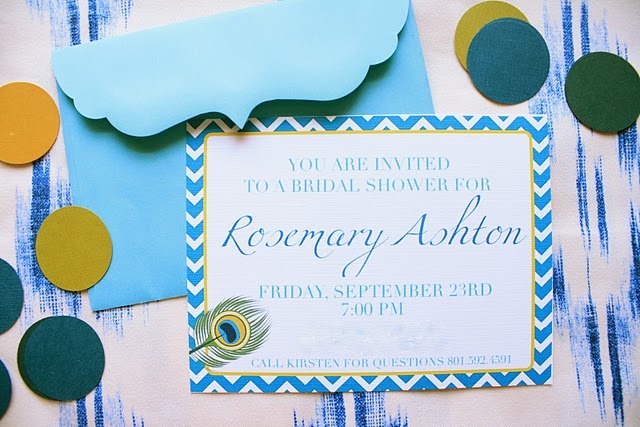 Here are the invitations created by Kristen. Even the flap on the envelope reminds me of peacock spreading his wings. Check out these adorable napkins. If you go to her blog, she tells you where to buy them. She even made these cute peacock feather ornaments by sticking a peacock inside of a glass Christmas ornament! This was one of my favorite ideas! How simple, yet so colorful! 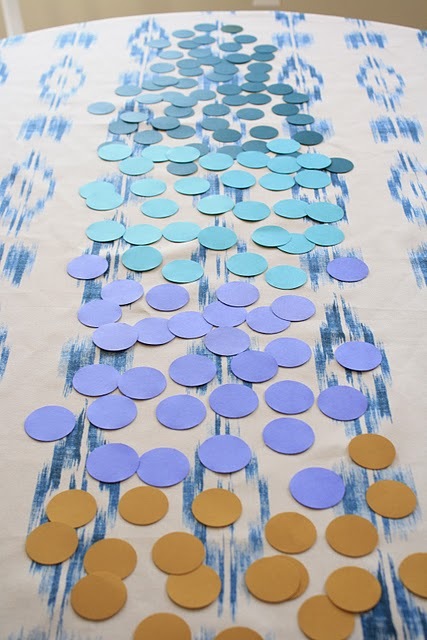 She made the table runner by punching out different colored paper dots! 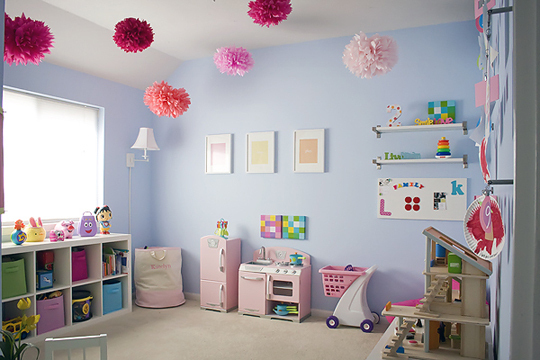 I love the color combinations she chose, you can tell she has an eye for color! 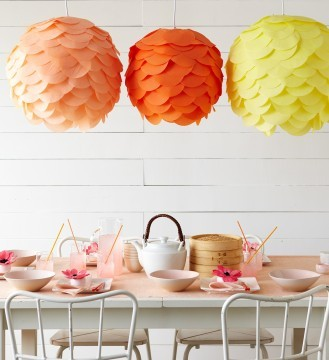 Last but not least, these awesome paper lanterns! See what I mean? Really packs a punch of color doesn't it? I especially like the way everything implies peacocks without an in your face peacock design! Absolute perfection don't you think? Make sure you check out Kristin's blog, you will like it! 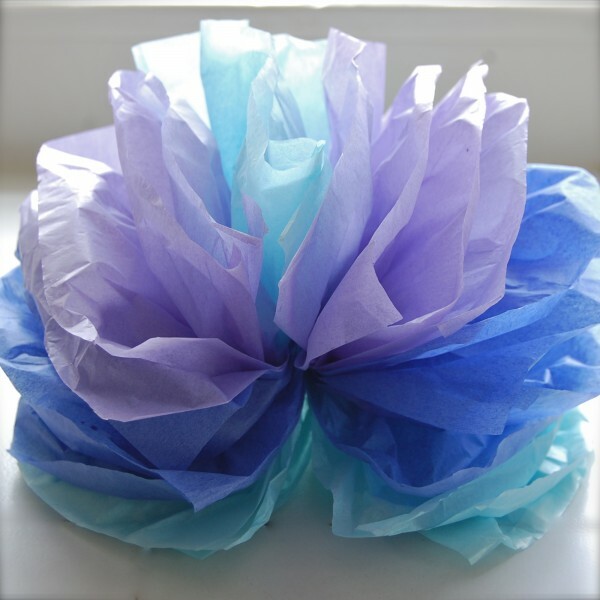 There are a million ways I can think of to use these fabulous paper creations! like the ones above but you can improvise and create your own shapes and sizes! After all, they are handmade, so anything goes! Have fun, get your kids involved! 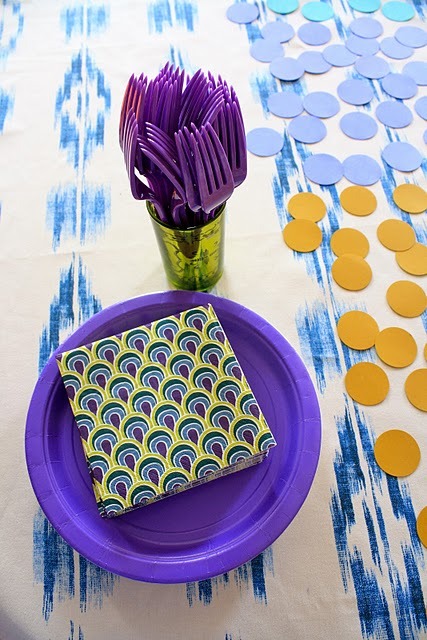 I think you will have as much fun making them as you will enjoying them at your party! Enjoy! Life is the party you create and you only live once! 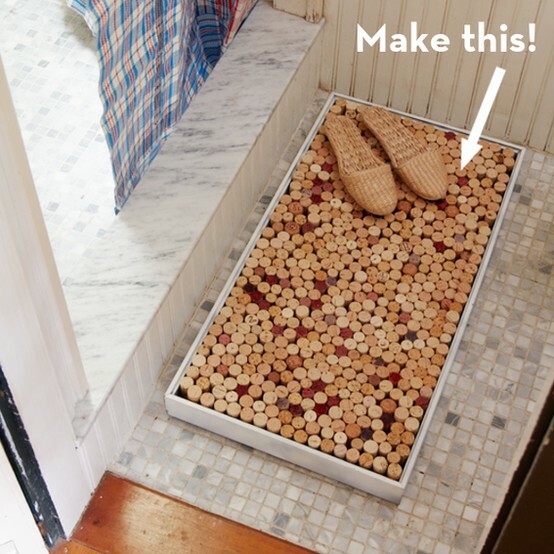 What to do with those leftover wine corks? 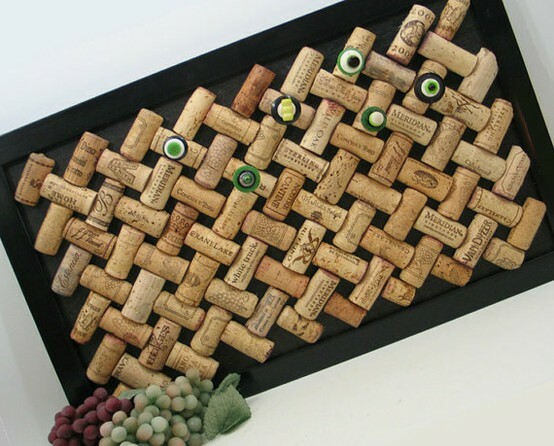 Why do we keep wine corks? What do we think we are going to do with them? I don't know why but I just can't bring myself to throw them away. They keep multiplying but nothing ever gets done with them. This morning I came to the conclusion that I have to either make something with them or throw them away! After all, I have to make room for more corks, don't I? What's a girl to do? 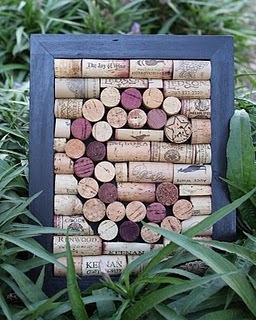 I decided I would do a little research and see if other people have this desire to recycle wine corks.... Guess what I found out? I am not the only one! However, if you don't drink wine and want to make some of these cool products, just ask your local wine bar or restaurant. 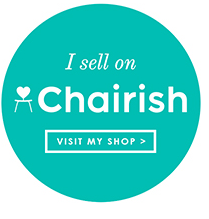 I am sure they will be glad to supply you with all you need to create these projects. With the holidays coming, wouldn't these make great gifts? Here is my current wine cork stash... 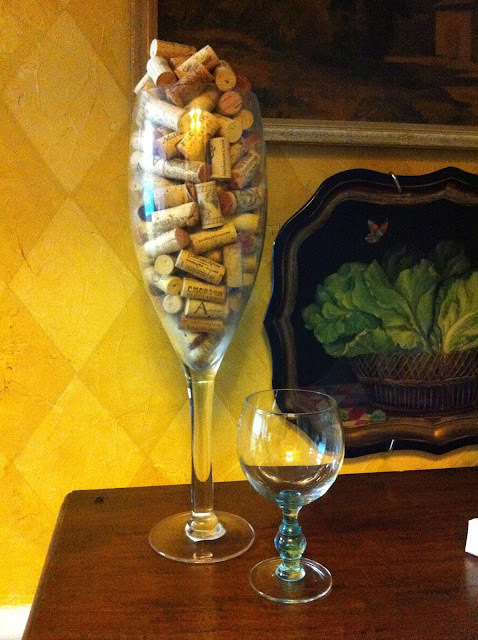 It doesn't look big, but would you believe there are 218 corks here! I put my favorite wine glass in the picture, so you could get an idea of the size of the the container the corks are in. I also have a larger container than this at my beach house that is also running over.... I clearly need to make something! After doing a little research online, I came up with the following options..
Click Here for Step by Step Instuctions! 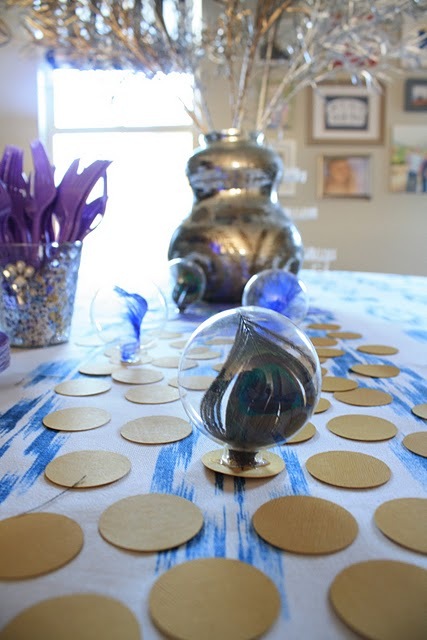 Another idea I found were these cool orbs created by pinning the corks on end into a styrofoam ball or chains make from corks that have been sliced and joined to create a chain link rope. How cool would these be as drapery tie backs. 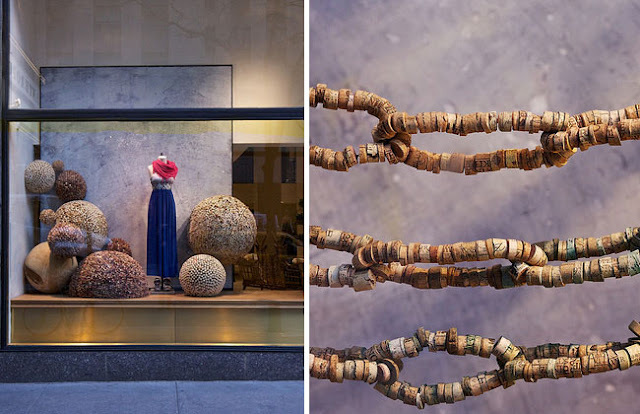 These were done in where else... Anthropologie! I love the way they take nothing and make art with it! 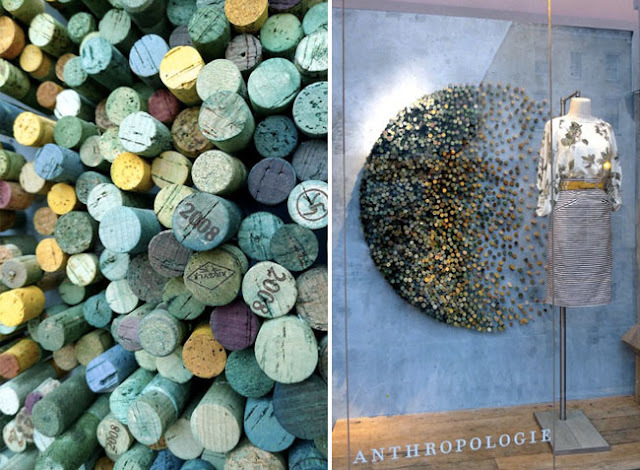 Here is another picture of cork art from Anthropologie. 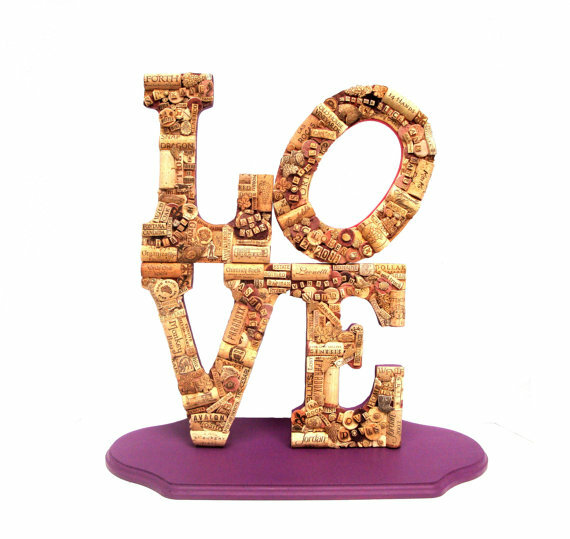 The ends of the cork were dipped in paint and then used created the cork sculpture! Sometimes I go into Anthropologie just to see what they have created. I secretly want that job! I heard they have a art room in the back of the stores just for the person who creates all the art! How awesome would that be? This cute monogram board was created by Kathryn at "I can't find the time", you gotta love the name of her blog! I wish I had a nickel for every time I say that. I could hire someone to do all my projects with all those nickels! 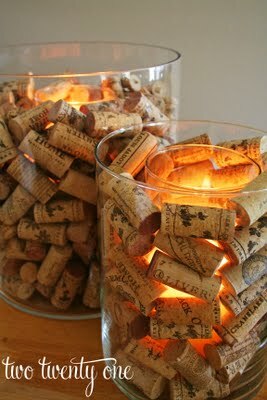 This has to be one of my favorite ideas even though it is with champagne corks and not wine corks. . 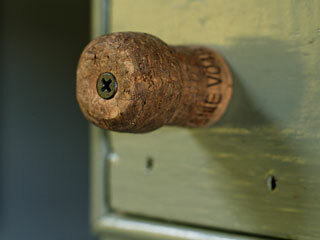 I don't have very many champagne corks, but I do have a few. Wouldn't these be cute knobs for a chest of drawers or a bar cabinet? I'll have to tell "Miss Mustard Seed", these look like something she would like! The options are endless! Now to decide which project to make? What do you think? 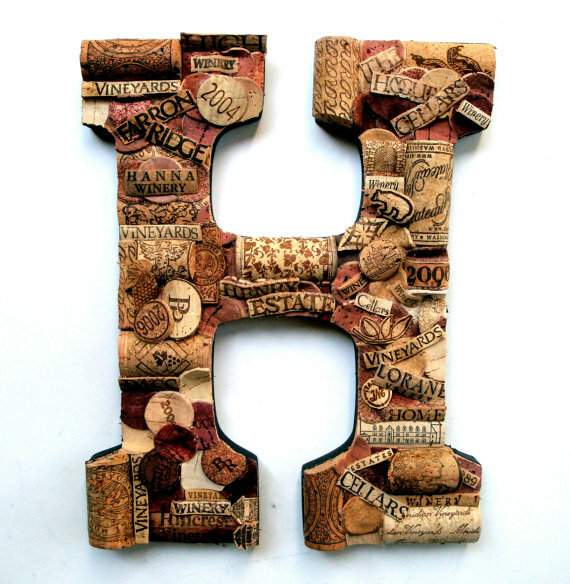 Do you have wine corks lying around waiting to become works of art or objects of use? 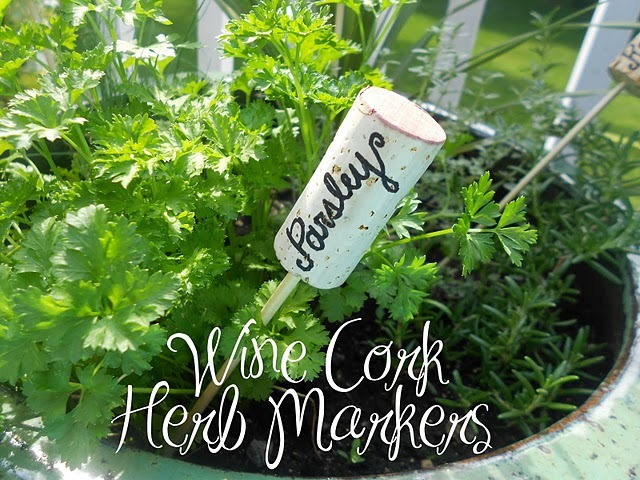 Hopefully, you will at least think about recycling the next time you are tempted to toss a cork in the trash even if you don't want to make anything out of them. I think it would be fun to look at our creations and remember both the fun times making the project as well as the good times we had drinking the wine. 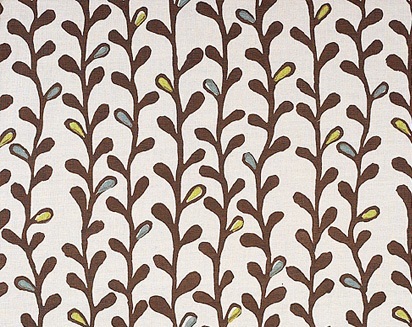 John Robshaw is one of my favorite textile designers. 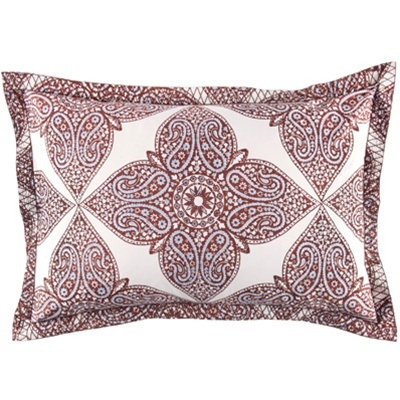 John graduated from Pratt and studied block printing in China, but it was a trip to India where he developed a love of the artisans and their way of making fabric. He journey to India was to find an indigo ink for his woodblock prints, but he acquired more than the ink. His love for artisan creations and how the "human touch" affected the overall design of the fabrics was the beginning of what has grown into John Robshaw Textiles. His designs seem to work in any decor. 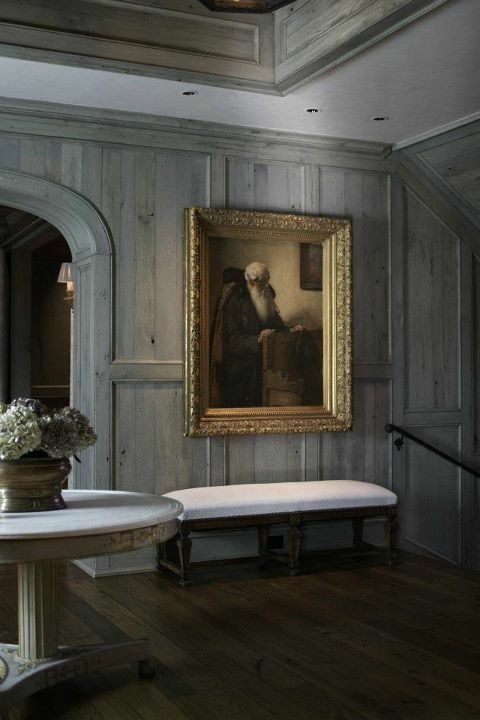 Beautiful, timeless pieces of art for your home. Combining patterns that seem as though they evolved over time. He truly is an example of "do what you love and the rest will follow". 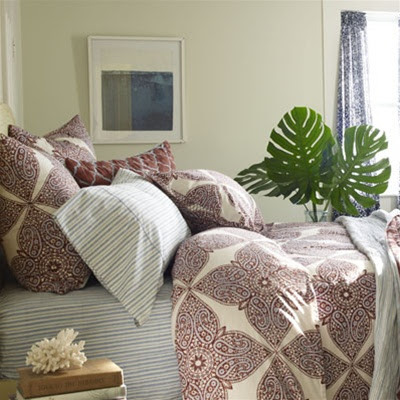 I love mixing the patterns to create an interested, eclectic bed. These patterns seems to combine just the perfect amount of masculine and feminine so that they work well for both sexes. 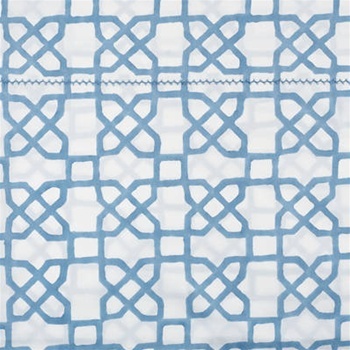 He uses only the highest quality linens so not only are they pretty to look at, but are all so very soft and luxurious. Another designer team I admire for their hand made fabrics is..
Who knows one day soon I might break out the wood and carve my own wood block design and create something unique. When I do I will be sure to share with you! Have a fabulous weekend and try to stay dry! at a fraction of the price! Of course it isn't silk but then who cares right? Actually, my husband would say "hurray, it's not silk"! He hates our silk bedding. I know... I am "mean", but what's a girl to do? Check it out here! Her blog is pretty cool too! Thanks Emily for the info! I have always been a self proclaimed lover of color! shape and texture without strong color. beside the sterling framed baby picture and silver salt seller? 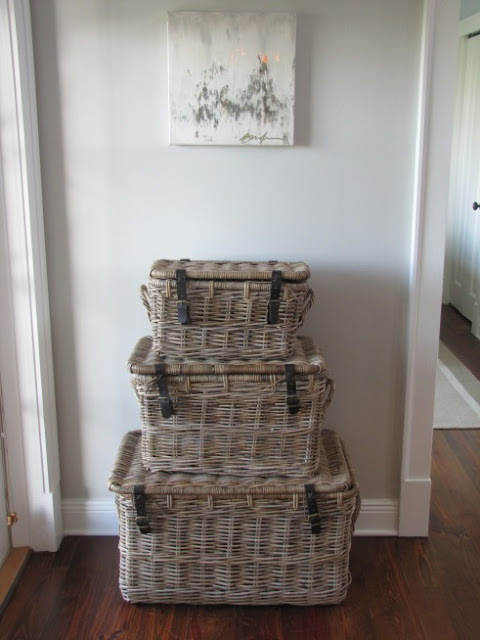 creating a harmonious vignette in this hallway. This foyer is a good example of how light effects the neutral palette. 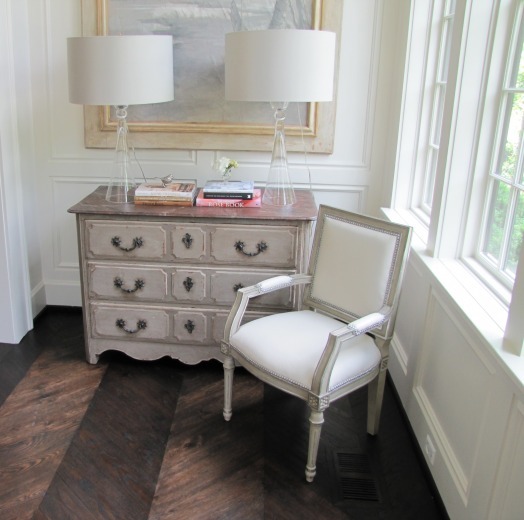 Here we have shades of white against a two toned herringbone stained floor. 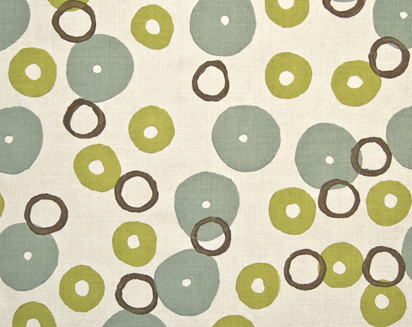 Texture takes center stage without color stealing its thunder, through the combination of the glass, wood, and linen. 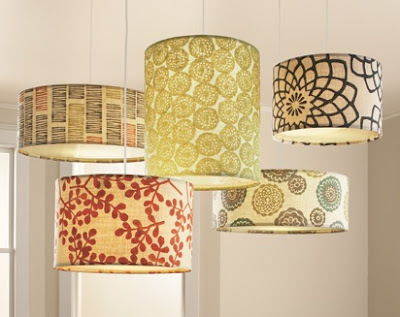 The strong shape of the lampshades as well as the dark and light tones of the herringbone in the floor, becomes important in bringing balance to the vignette. 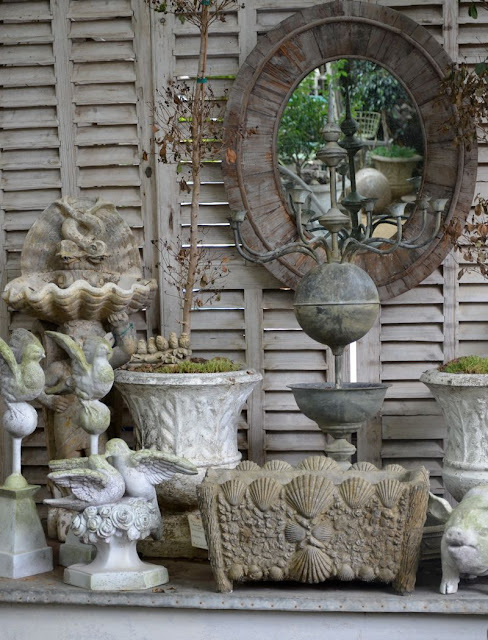 color, but the interest here is in the combination of wood, stone and iron. by the horizontal shutters in the background. I love the way your eyes are drawn to the art in this hallway. painting, bringing prominence to the work. compositions when color is taken out of the equation. In this situation, it brings calmness and order to the bedroom. great examples of using neutrals to create beautiful spaces. What is your style? What makes your heart sing? 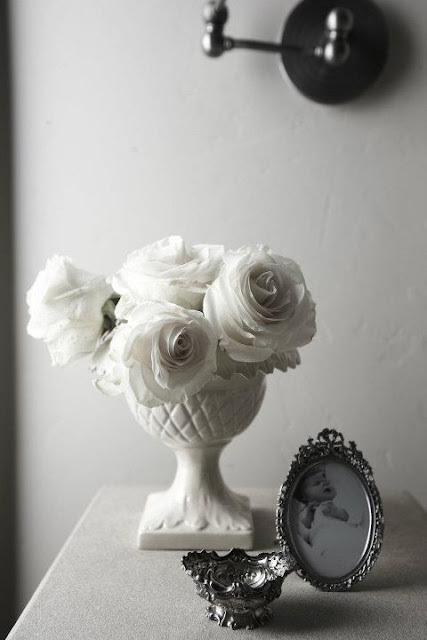 Do you prefer neutrals or color in decorating? What were you doing 10 years ago on this day? Do you remember? I was standing in my kitchen, after getting my kids off to school. I was talking on the phone to one of my friends. The tv was on, but I wasn't really focused on it. Suddenly, I saw something so unbelievable! At first glance, I thought it was a movie trailer. The announcers were frantic they gained my attention long enough for me to realize the sky in NYC was ablaze. All I could do was stand in shock with tears streaming down my face. It was unreal! We were under attack from the enemy! The twin towers were burning and crumbling to the ground. There was another report of a plane crash due to a suicide bomber. The pentagon was under siege. There was total pandemonium! 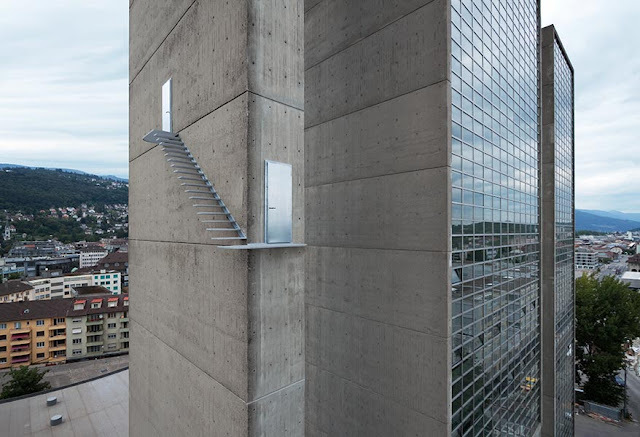 I suddenly wanted my kids at home. I wanted to call everyone I loved and say "I love You". It was a sobering moment. It felt as if all the things we have worried about were happening. Where would it end? Would it end? What was the damage? Who was to blame? Who would be this evil to attach innocent people and cause such heartache. It has been 10 years since that morning, but when I remember that I still get that sick feeling I felt watching the bombing. 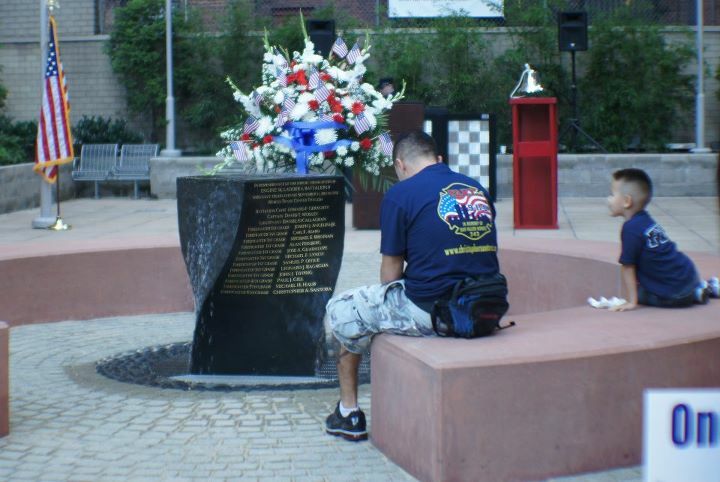 It wasn't until eight years after 9/11, when my son died, that I unfortunately experienced first hand the loss those families felt that day. On this anniversary date, let's make a promise to live as if every day is our last. goals, adjust the action steps." Last week was a killer! It reminded me why a timeline is detrimental to a project. Each part of a project has to happen in a sequence. If one of the sequences is off schedule, it throws the entire project timeline off. If your team doesn't understand the important of adhering to the time schedule, then you have major problems. My projects always run so smoothly that I don't worry about whether I will finish, I just always know it will get done as planned. When you work in a new place, with new people sometimes things don't go as planned. Let's just say that last week was one of the most frustrating weeks, I have had since I began my design practice. As a result of the schedule being off, all the things I had planned to get done did not get done. I don't have pictures to post of the project because I was so tired when I left the house, I forgot to take them. However, when I go back I will be sure to take some and post them! The painting is finished, the new lighting is hung, the mattresses are finally in the bedrooms and one shipment of furniture has arrived! The second shipment will arrive this week. Great artwork is ready to be hung! You are only as good as your back up plan!